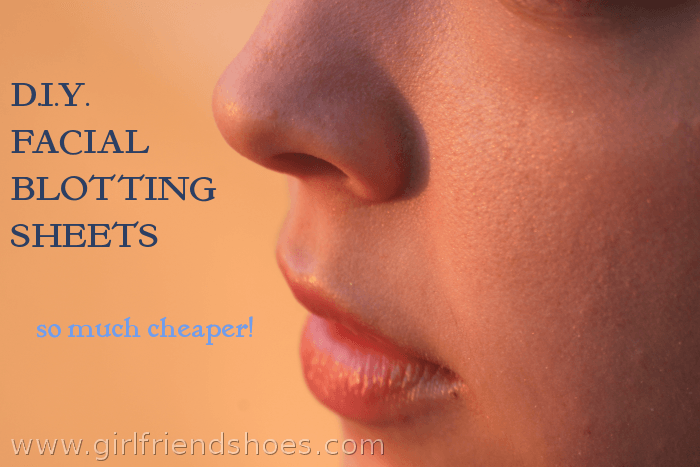 How many of us spend 5 bucks or more on a tiny pack of facial blotting tissues? Yep, lots. How about a D.I.Y. version for a buck? For a buck go to the dollar store and grab yourself a package of tissue paper. You’ll have to cut it into smaller pieces but you’ll have 100 times more than what you’d get in a store bought pack and it was 5 times less the price. It works. Don’t believe me? Try it. I put my facial blotting tissues in an old business card holder.